Kerala is known for its rich cultural and traditional background. You get an idea about how much pain the people of Kerala take to preserve their tradition despite so much of commercialism and globalization. The famous temples of Kerala are a living proof about the fact that people in Kerala still value their culture and are fiercely protective about it. 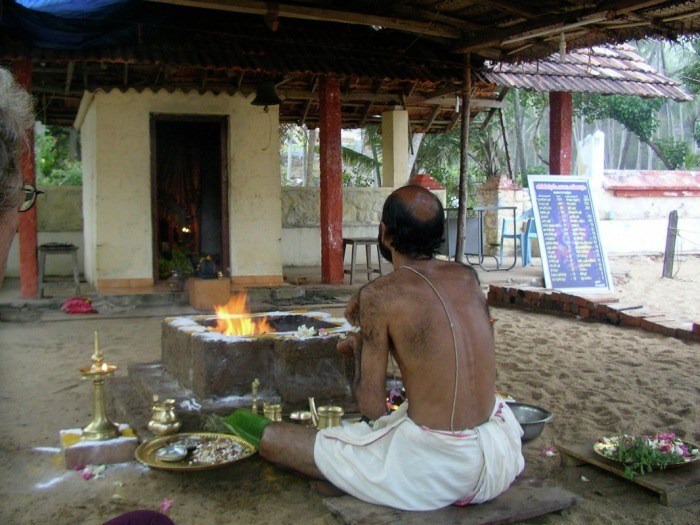 Read on further about the various temples in Kerala India in our related sections. Aranmula Temple, in Pathanamthitta district, is famous as one of the five temple towns of Kerala. 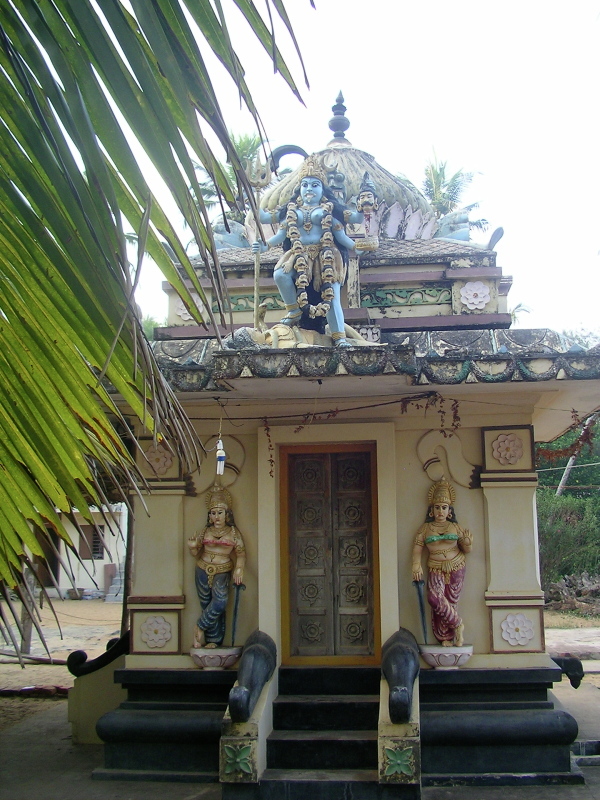 There are other temples besides Aranmula, which are devoted to Lord Krishna and are located at Trichambaram, Tiruvarppu and Ambalappuzha. 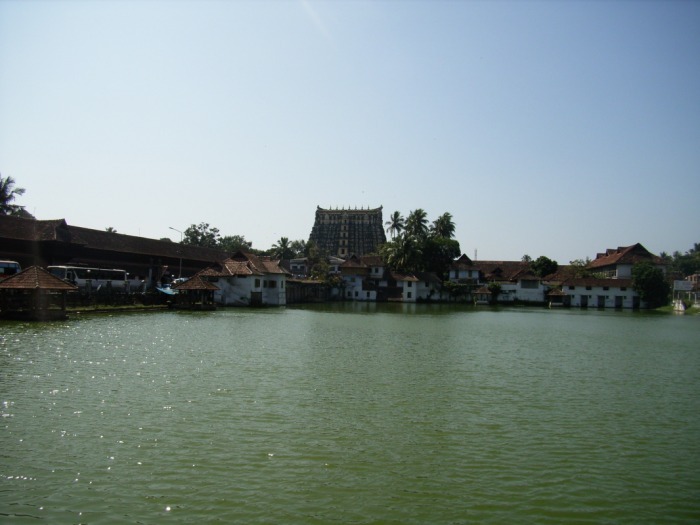 Lord Parthasarathy is the presiding deity of the Aranmula temple. 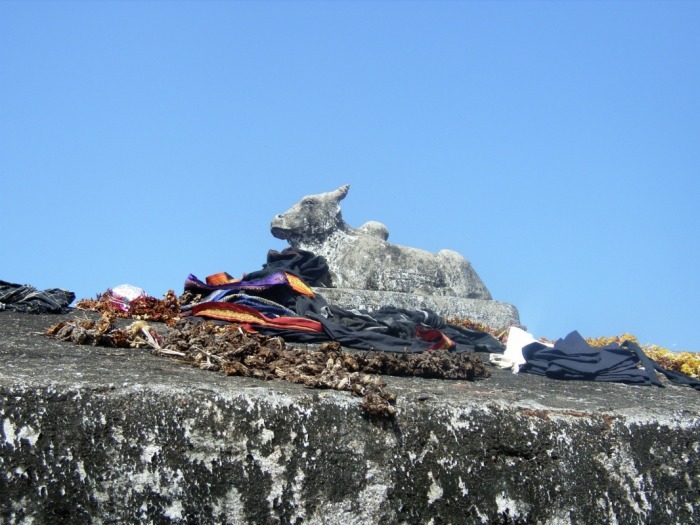 There are five ancient shrines around Chengannur, sanctified by the Pandavas. 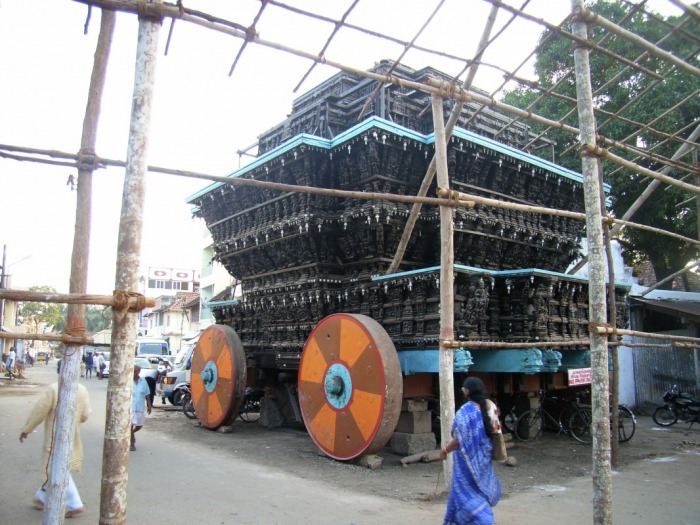 One of them is Aranmula pilgrimage of Kochi. It is said that this temple has existed since the time of Mahabharata. In Cochin, Aranmula temple comes alive during the time of Onam festival when snake boat races are held in this temple. The temple premises is decorated beautifully and is thronged by thousands of devotees who come to offer prayers and cheer for those participating in the boat race. Aranmula temple is famous for its Aranmula "kannadi", which is basically a mirror engulfed by some exquisite metal works. "Kannadi" is Malayalam for mirror and this kind of mirror work is found exclusively in Aranmula and nowhere in the world. If you happen to visit Aranmula, buy these beautiful mirrors that are available in all shapes and sizes. The Aranmula Temple is famous for its murals, which were carved out during the 18th century. Infact, many foreign tourists come here and stay for a long time to learn the culture of Kerala. It is a soul satisfying experience and one that you shall never forget in your life. Located at a height of almost 1000 meters above sea level on the Sahyadri ranges in Western Ghats, lies one of the most important shrines of India known by the name of Sabarimala. The Sabarimala temple of Kerala is dedicated to Lord Ayyappa, who is said to have meditated here after killing the demon Mahishi. Some legends also say that Parashuram, who created Kerala, installed the idol of Lord Ayyappa and worshipped him. The Sabarimala pilgrimage attracts thousands of devotees from all over India during the peak season of November to January. Not everyone can take a tour to Sabarimala Kerala. One needs to observe strict discipline like abstinence from alcohol, smoking and other comforts of life. You are supposed to lead life like an ascetic for 41 days before embarking on the journey to Sabarimala. 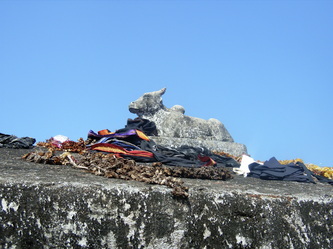 Women between the ages of 10-50 are not allowed to go on this pilgrimage. The pilgrimage is open to all irrespective of caste, creed and religion. It sets a perfect example of harmonious co-existence of different religions and sects. Everyone is a devotee of the Lord, not Hindu, Muslim or Christian. Before reaching the temple, everyone is supposed to worship a shrine that is dedicated to a Muslim saint. The temple is reached by climbing a flight of 18 steps covered in gold. These 18 steps signify different aspects of human nature like intelligence, anger, the 5 senses, etc. One who crosses these 18 steps is said to have attained "Punyadarshanam". In January every year, thousands of devotees gather at Sabarimala to view the "Makaravilaku" or divine flame that is visible during one particular day of the Makara star. When dusk falls, a small flame arises in a distance, between two hills just opposite the temple. The temple comes alive with the praises of the Lord filling the air. This famous and very old Vishnu temple situates on the banks of Bharathapuzha in Thirunavaya.This is one of the oldest temples in Kerala....its here atleast from the time of sage Markandeya-the famous sage who defeated death through his devotion and prayers to Lord Shiva. It is believed that Markandeya made the Shiva Lingam using the soil that Lord Navamukunda gave him from his temple courtyard. 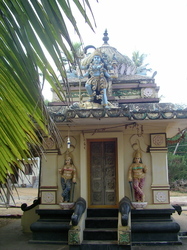 The temple is managed by the Zamorin Raja of Kozhikode. 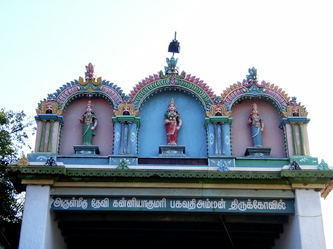 The sub-deities are Aadi Ganesa and Mahalakshmi. The temple which is facing east in spectacular view with marvelous engravings. The temple is famous to perform the rituals for departed souls.